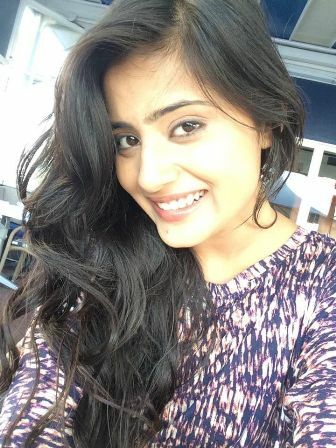 Vaishali Takkar is a TV actor from India who was born on 15th July 1992. He hails from Indore, Madhya Pradesh, India. She did her schooling from Indore and continued her college till her graduation in this city. Since she was always interested to make her career in the field of acting, she headed to Mumbai once she completed to pursue her dreams. So, with little struggle, she was able to enter into the small screen doing her debut with the TV show called Yeh Rishta Kya Kehlata Hai at the popular channel Star Plus. Since then it was no looking back as she kept on getting one role to the other in the small screen. the popular TV channel called Star Plus. Talking about her personal life, she was rumored to be in relationship with TV actor Kabeer K also called as Ajay for his popular character in the TV show called Tumhi Ho Bandhu. They have been spotted at many places but have not confessed about their love for each other as they still call themselves to be good friend. Talking about her personality, her height is 160 cm or 5 feet 3 inches, while her figure size is around 34-25-35 and her Zodiac sign is Cancer. She likes Ranveer Singh, and Kareena Kapoor Khan as lead actors. Her favorite book is The Magic of Thinking Big by David J Shwartz. Talking about her hobbies, she likes travelling and rest of her time goes to meeting friends and having fun. Stay tuned to know more about her and others only with us.